I was up in my attic recently and noticed I have about 6″ of insulation. Is this adequate for our climate? The standard depth of insulation varies depending upon the type of insulation. If your attic has spray foam for instance it may only be 3.5” and have same R-Value as an attic with 14” of blown in fiberglass. 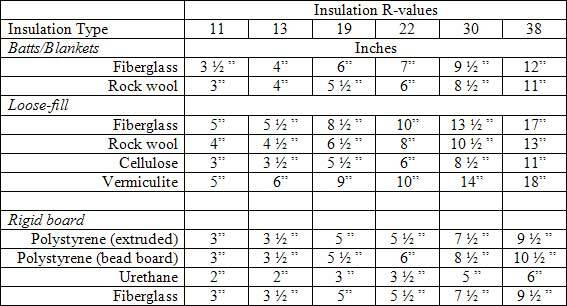 My recommendation is to check to see what the R-value per inch is for your type of insulation. You’ll want to add enough insulation on top of what you have to achieve R-40. Generally speaking 6” of insulation will have a R-20 value. This amount of insulation was common in the 70’s and 80’s. Most new homes today are built with about 15” of insulation and an R-value of R-40 to R-50. The Code minimum standard is R-34 I believe.